A political knotty wrestling had begun in the BJP after the suspension of Law-maker Kirti Azad. The top leaders of BJP on Thursday started the meeting in this connection. Mr Lal Krishna Advani reached home of Murli Manohar Joshi where Mr Yashwant Sinha and Shanta Kumar were already present. It is assumed that the prominent leaders have discussed on the issue of suspension. 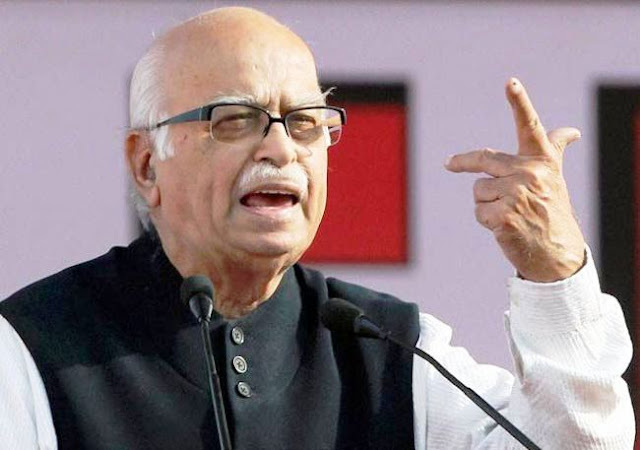 According to sources, these leaders including Advani and Joshi are party guidance council members; and intent that the allegations against Jaitley for DDCA should be probed. Kirti Azad had raised the voice against the alleged corruption in DDCA since long. Azad had repeatedly demanded the probe into the matter having called the press conference in the past. Mr Azad has been suspended by the party on Wednesday after his press conference. The BJP MP Shatrughan Sinha supported Kirti Azad openly. The big irregularities and corruption were since 1999 upto 2013 during the tenure of Chairmanship of Mr Arun Jaitley in DDCA. Mr Kirti had exposed these irregularities in DDCA after jaitley's tenure. According to source, the top leaders of BJP want the inquiry in this case; they desired a commission may be appointed against Mr. Jaitley. It is believed that the investigation may be instituted against the minister. The members of BJP guidance council will decide the future after meeting. According to source, Mr. Kirti Azad had asked the intervention of party guidance council in this matter. He said, ’’The party guidance council and senior leaders should intervene on this issue’’. Kirti Azad has asked PM Modi the cause of his suspension. He said, “I want to say PM Modi, 'What is my fault should be told openly?'" I want to know that I have been suspended for I had raised the voice against corruption in other matters of BCCI." He added that the party should clarify my collusion with whomever?